Hanoi (VNA) – The Ministry of Construction and the Korea International Cooperation Agency (KOICA) held a workshop in Hanoi on August 17 to review the implementation of the Green City Planning Decision Support System (GDSS) in Vietnam. Deputy Minister of Construction Phan Thi My Linh said the project was sponsored by the Republic of Korea and has been carried out for more than a half year. The Korea Research Institute for Human Settlements along with the management board of projects of the Ministry of Construction, northern Thai Nguyen and southern Kien Giang provinces coordinated to build a set of green urban indicators and a GDSS to evaluate urban development nationwide. This is a foundation to building a legal framework and guidance documents for green city planning in Vietnam. During the workshop, participants discussed improving the efficiency of the project to expand it in the future and refining legal documents on urban planning. The project aims to reduce greenhouse gas emissions, ensure climate change adaptation and make reasonable and effective use of natural resources. Vietnam faces various urban problems such as infrastructure shortages and environment degradation as a result of rapid economic development and urban population growth. 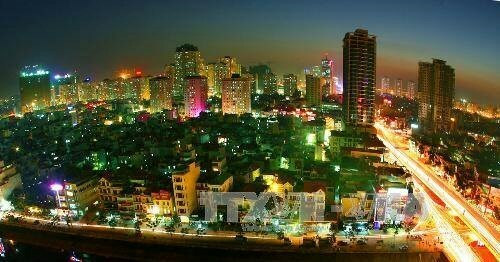 The Korean Government aims to help Vietnam in creating a brand new city, improving living standards and in environmentally sustainable urban planning, according to KOICA.